A list of anime fights without mentioning Dragon Ball Super cannot be made. 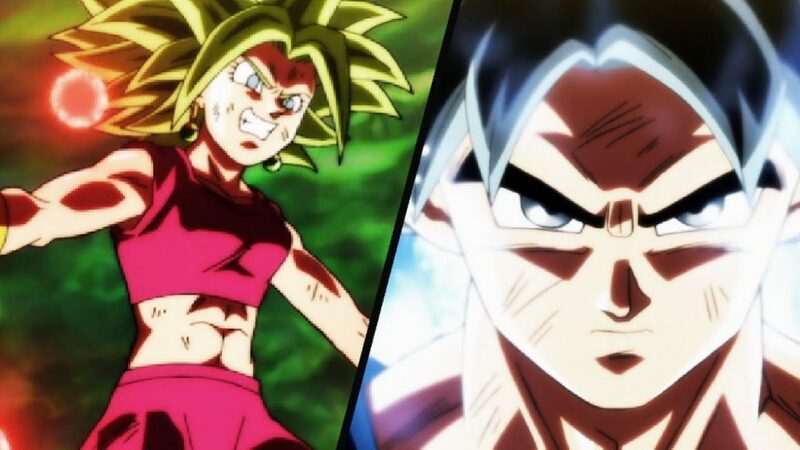 The fight between Goku and Kefla is fabulous because it shows how Goku has to deal with an enemy that surpasses him in terms of speed. This is a raw fight between friends that includes realistic weapons and injuries and great animation. Even though Gintama is a comedy shounen, it also has great moments for action and fights among great characters. An anime series about a MMORPG videogame can very boring if it is not correctly directed. That’s why the fight against Level 100 Boss is one of the most entertaining of the anime. The original heroes from season one join all together to defeat a powerful and cruel boss in a colorful reunion. The final fight between Araragi and Kiss Shot, disciple and master confront in a bloody fight that will put an end to their differences. Araragi wants to be a human again, but in order to defeat her master he has to give up all his humanity left. This entry was posted in Anime and tagged Anime fights, Dragon Ball Super, Sword Art Online by Juan Martínez (Google+). Bookmark the permalink.